Most of you will spend some time on a train while in China. If you don’t, you are missing out! The train system throughout China is amazing and is continually growing. Every large city has a train station in it. Traveling by train is quick, easy, and affordable! 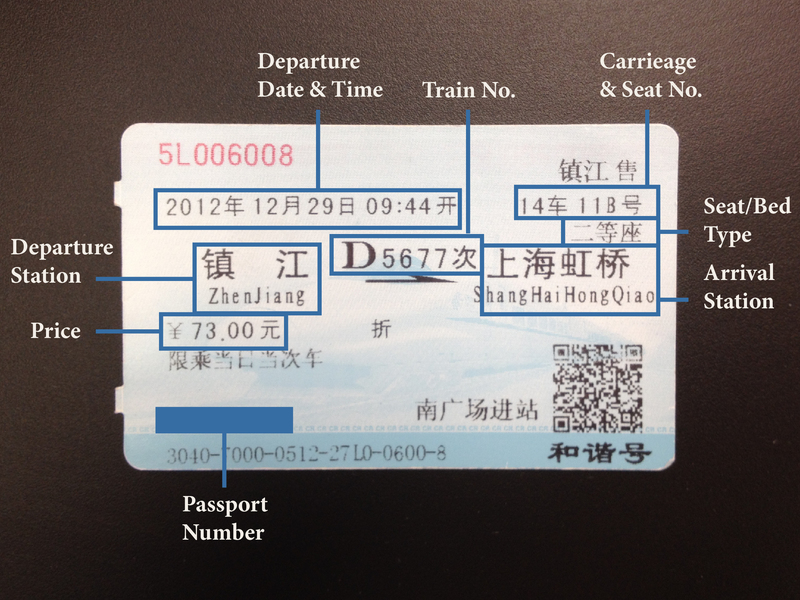 Buying a train ticket is a simple process that can be done in a few different ways. Although some cities have ticket offices, the easiest way to purchase train tickets is to go to the train station. *Remember: Purchasing a train ticket requires your passport, so don’t forget it! Seat Type: Hard and soft doesn’t necessarily refer to how hard the seat or bed is, but instead it refers more to the amount of room you will be given. Soft sleepers have four people to a compartment, stacked two beds high, with a door that closes to the hallway. Hard sleepers cater to six individuals, stacked three high, with an open compartment. Soft seats resemble tour bus seats (all facing the same way) and hard seats resemble school bus seats with two or three people sharing the bench-seat, facing another bench full of people. When taking a hard sleeper understand that all of the beds have pros and cons. The upper beds have a little more privacy, but you will have to climb up to get to it. The bottom bunk is easy to get to and has the most space in between it and the bed above (more head room). But it is generally understood that the bottom bunk becomes a seat for everyone in the carriage. The middle is not as spacious as the bottom bunk, but requires less bed sharing. Train Number: The most important part of the train number is not the number, but the letter. The letter informs the passengers of the speed and quality of the train. No Letter Trains: These trains are numbered with no letters, just four numbers (2374). They are slow, because they stop at every station they pass, and they often don’t have air conditioning (usually they have heating in the winter though). These tickets are usually the cheapest. K, T, and Z Trains: These trains start with either K, T, or Z. They make less stops, which makes them faster. These trains have air conditioning. D Trains: These trains are similar to the previous with the exception that they are built to go 125 mph (200 km per hour). They are commonly called bullet trains. G Trains:These trains are similar to D Trains, only faster: 218 mph (350 km per hour). These tickets are usually the most expensive. Now that you understand this you can make a better decision as to what kind of train you want to use. Keep in mind that just because there are many different types of trains doesn’t mean that all of them are offered in between each location. With this in mind, it may be more important for you to look at the seat type and the price. Travel China Guide’s train section is a great source for looking up train times and locations.